Working on some new mixed media techniques (at least new for me). I wanted to give my illustrations more depth so I am working a bit more with torn papers, paint, ink and gloss medium. So far I am pretty happy with the results! The illustration was created on paper with colored pencils and acrylic and then attached to a painted gallery wrapped canvas. 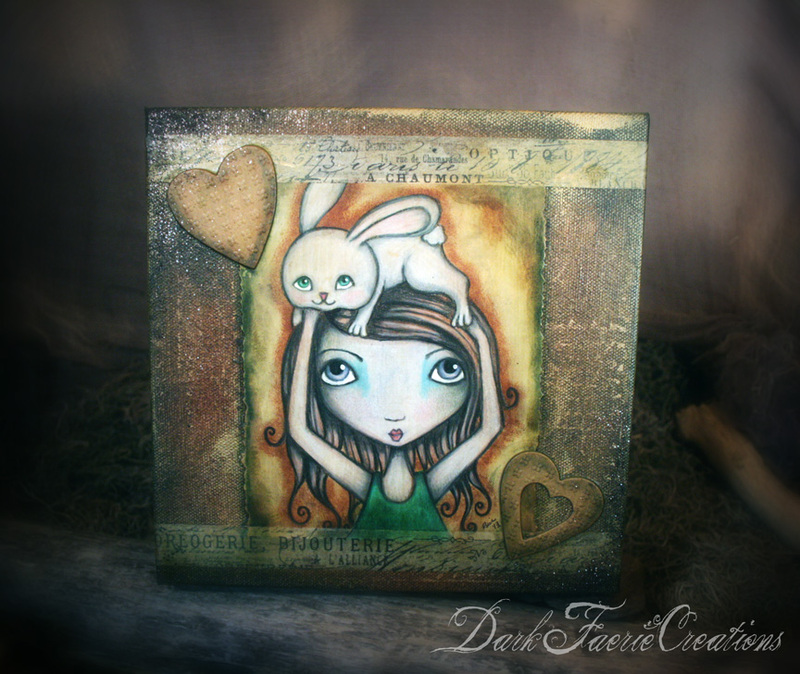 The canvas was painted with acrylic, glitter, ink, cinnamon (yep!) and metallic gold paint. I also added cardboard hearts that I distressed with ink as well as decorative tape.The entire piece has been sealed with a matte varnish. 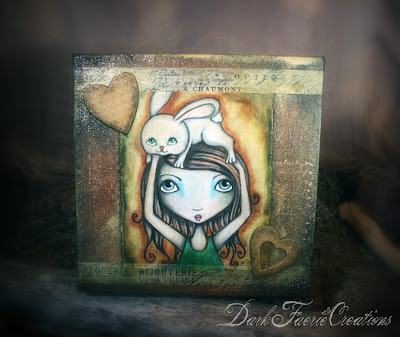 The bunny makes me very happy...I hope he makes you happy too! Here is a sneak peek of a piece that is in progress....."The Frog Princess"
The background was created with ripped paper, acrylic, ink and gloss medium and the princess was drawn with pencil. There will be a frog...and it will all come together...soon....I hope! Stay posted! 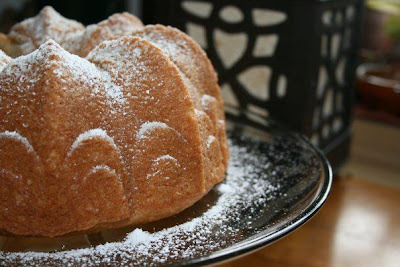 Here is a fantastic recipe for you as well.....I have made this cake many times and it never disappoints! Lemon and coconut seem perfect for those of us just waiting for Springtime to show up! Sorry you are not well. Your new works are simply beautiful. 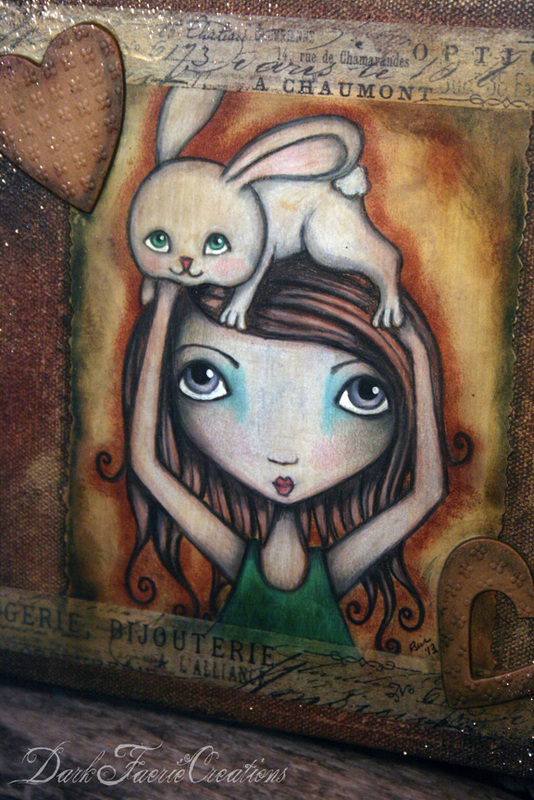 I adore that girl with the bunny upon her head. And the frog princess is simply charming. Thank you for the cake recipe. I am always on the hunt for delicious dairy-free recipes!